In this post you’ll find answers to A Year of ArtPlay FAQ. I would just like to clarify how it works. Am I right in understanding there will be four live sessions with the first one in March but there is monthly content available between the 20th and 30th or 31st of each month. If I understand this correctly – do these downloads start in January? Every month for the 12 months of 2017, I will release a new video between 20th and the end of the month (in February this will be the 28th of the month). This purely gives me some leeway if I happen to be sick/out of town etc. The content, at the moment, will be made available via Dropbox for download and will include the .PSD file created in class, plus the DigitalART supplies, so you can practice creating your own rendition with your photos. I will be looking into a streaming service in 2017. The first video will be made available in January and we’ll have 4 quarterly LIVE sessions for specific questions and an opportunity to watch me work with and provide feedback on student layouts. This workshop has been concepted based on the resounding success of the aA Project 2016 for which I have received amazing positive feedback on the usefulness of the course content. 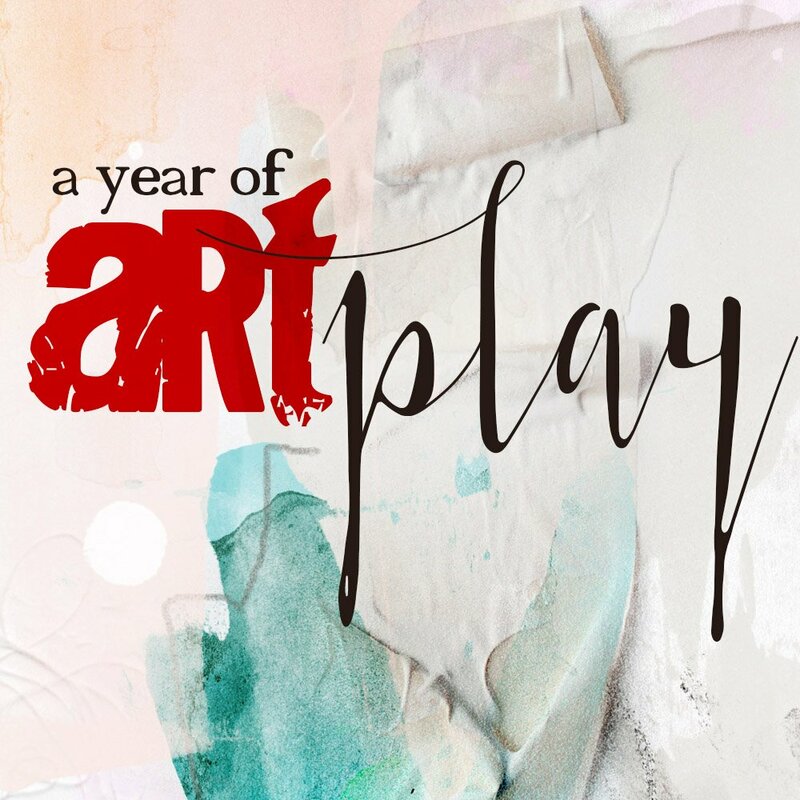 The main difference is that ‘A Year of ArtPlay’ will span a year instead of one month. When I tried to go through the registration process the only method of payment that came up was via PayPal which I don’t want to use. Is it not possible to pay by credit card? You can pay via credit card through Paypal. I do not currently have a dedicated credit card service in place but this is something I continue to look at as Anna Aspnes Designs grows. Costs of implementation and usage have to make sense from a business standpoint. If you live within the United States I can accept a personal check. You can also make payment via Oscraps with a $15.00 service fee. I work in PSE, so can I benefit from the class even if I don’t know Photoshop? Photoshop CC obviously has more functionality and is more intuitive for me to work in than PSE, which is why I have chosen to use this program. This is particularly pertinent as I will be starting each lesson with a blank canvas, without having planned for, or knowing the final outcome. I use simple techniques to create my pages based on the idea that simple techniques + aA DigitalART yields complex digital artistry. There will be some functions you don’t have available to you in Photoshop Elements, but I will provide alternatives if there are any, and aim to focus on what’s available in both programs. This main focus of the educational content is approach to creating the art, using the products in the aA DigitalART range, and learning Photoshop function in relation to both. It’s an inside view of how I create my pages and an opportunity to get inside my head and see where I’m coming from in creating my art. In short. YES. I think you will still get a lot out of this workshop, especially at just over $6/class. I have many PSE users taking the aA Project 2016 which follows a similar format who are finding the class immensely useful. Do you think the material for this class covers the same thing already covered in the aA Project 2016 class? The Year of ArtPlay is modeled on the aA Project but I expect there to be lots of new content especially in the area of design and product usage. The main difference is that I’ll be working with a blank canvas as opposed to always starting with a template. Obviously some of the content will overlap as I tend to use variations of my favorite techniques but I think there is value in seeing similar techniques and products used in a variety of situations. Layouts will be completed in single page format with a focus on artistry. Each layout will be different so I hope students will take away something new from every composition. When will the class start? Class begins in January 2017. The first ArtPlay video will be distributed between the 20th and last day of the month. This format will continue every month throughout year 2017. Content will be uploaded to dedicated folders on Dropbox and remain there throughout 2017 for continued access. This means if you choose to join the course in June, you will have access to the materials for all previous months in the year. There will be 4 quarterly LIVE sessions to enable me to connect and share with students. Will I get digital supplies to play with or will we need to buy these in addition to the course? You will receive all the supplies I use in the layouts. For example, if I use a paper from an ArtPlay Palette – you will get that paper, a brush from a BrushSet – and you’ll get that brush. Essentially you can download a custom kit with each video enabling you to practice and create your own rendition of the layout based on each session. I am interested in your year long art play course but noticed everything will be done in Photoshop cc. Should I investigate the monthly option for your class. Or do you think I can work with my elements product and keep up with your course? Firstly I will work in Photoshop CC for 2 reasons. 1) This workshop is about my process. I am sharing my thoughts and reasons for each design decision I make on the fly so I knew my go-to program was the best choice for this particular course. I have to pay attention that some tools are different in Photoshop Elements. 2) Last year, I ran a variety of courses and was surprised to discover that the more of my customers are now using PSCC than PSE. If you are working with a relatively new version of Photoshop Elements so you will have a lot of capability. That said, there will be techniques that I use that are not available in PSE. It’s just the nature of the software. I always provide alternatives and work-arounds where available, but sometimes my hands will be tied by the capabilities of PSE. I’ll admit I was annoyed when Adobe made a leap to the cloud, but have come to the conclusion that this is just a sign of the times. The more I resisted the more frustrated I became. When I sat down to run the numbers. I found I was really no worse off with the Adobe Photography Plan ($9.99/mo) and the commitment was the value of 2 Starbucks coffees per month for a program I use every day. I admit that I am in a different situation to you because I am using the software in my work, but I would look at how often you use the software and what you want to be able to do in your art. If you’re OK with limitations then stick with what you have. If you want ‘sky’s the limit’ I would upgrade sooner rather than later to avoid unnecessary frustration and advance your art. Files are delivered by Dropbox. Do I need an account? You do not need a Dropbox account. I provide the links from my account and you can download directly to your computer. You only need an account if you plan to save them to Dropbox. Where will the courses be stored for access/recall when needed? All materials are hosted in a dedicated folder on Dropbox to which you will have unlimited access throughout the year. Last day for registration will be 31 December 2017 when this workshop officially ends. You can join in at anytime throughout the year and you will have access to all previously released class videos and supplies. I am not on Facebook. Will I miss out on content? If you are not a fan of Facebook, you can choose to join our alternative group hosted by Cluster in order to connect/share with other students and receive feedback on your renditions of works created in the monthly sessions. We are testing this platform to see if it might be a viable fit for the majority who take classes at Anna Aspnes Designs. Please email me at classes@annaaspnesdesigns.com if you have a question not included here.